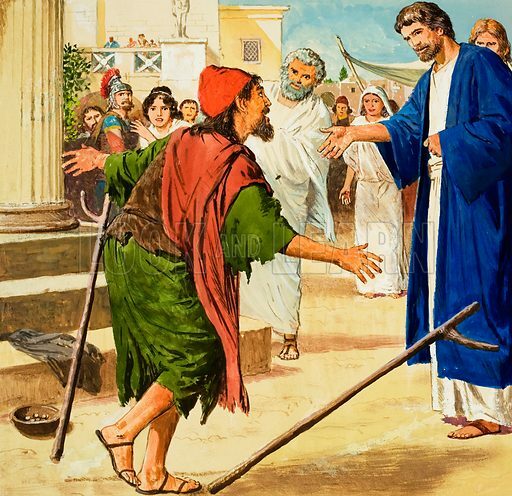 The story of Paul retold, taken from The Acts of the Apostles in The Bible: The Cripple of Lystra. Original artwork for illustration on p9 of Treasure no. 201. Available worldwide for immediate download up to 4,064 x 3,937 pixels.